Thanks i was wondering where i was getting the point to get the neck. oh... that items. 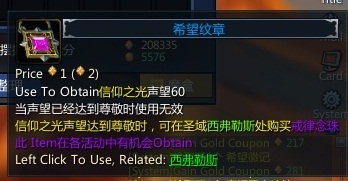 1 item increase 60 exp.? what different pink and green..? pink is reward from dungeon. im forgot what dungeon name.. hehe. green always drop in dungeon right? oh, and as an achievement increase that? 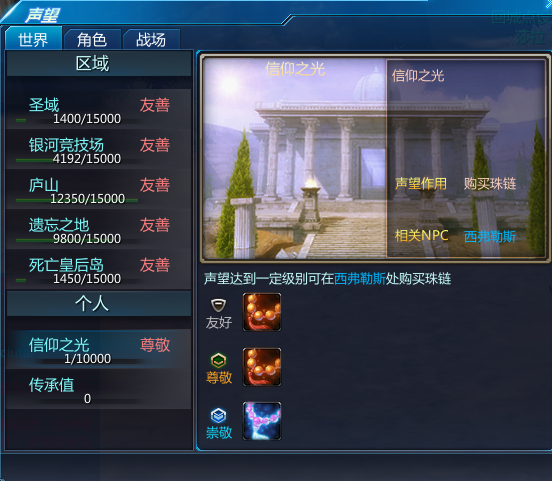 Those items increase your relations towards a certain faction, in this case being one of the main cities. You get certain rewards for being on good terms with a faction, these can be achieved through questing, dungeoning or minigames. ahh and I have to do to increase the 0? 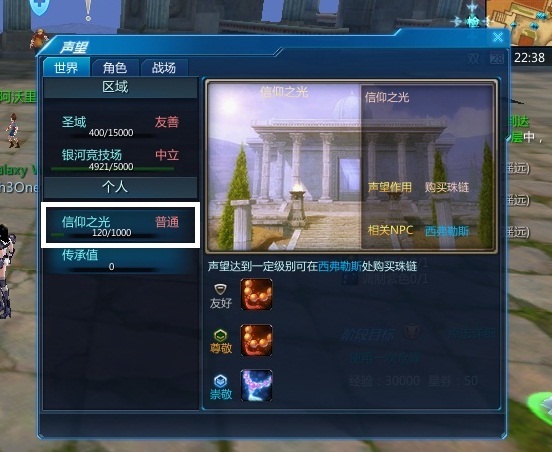 @KuroKanden wrote: Those items increase your relations towards a certain faction, in this case being one of the main cities. You get certain rewards for being on good terms with a faction, these can be achieved through questing, dungeoning or minigames. So its the same with the goldies? Because every goldie seems to have a "relationship bar" with you. Do you know how to increase the bars? 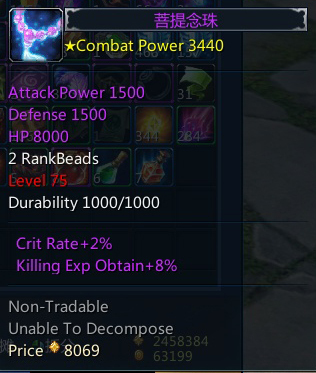 Can we do the same for the lvl 75 purple beads/necklace ? I bought it cause i filled my reputation up to 10 000, and I crafted another letter, but it doesn't seem to work. Maybe there's another letter we can craft at a higher craft level? Hmm idk how do that i wil ask some friends about it. 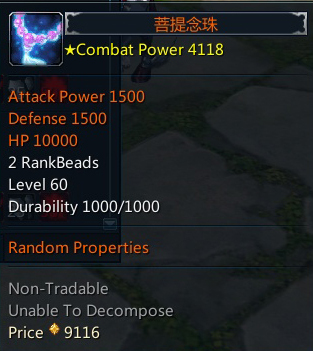 I know that this "legendary" lvl 60 necklace is real, cause I've seen it in the list of the same NPC. (He exchanges it for a lvl 80 "legendary" one). 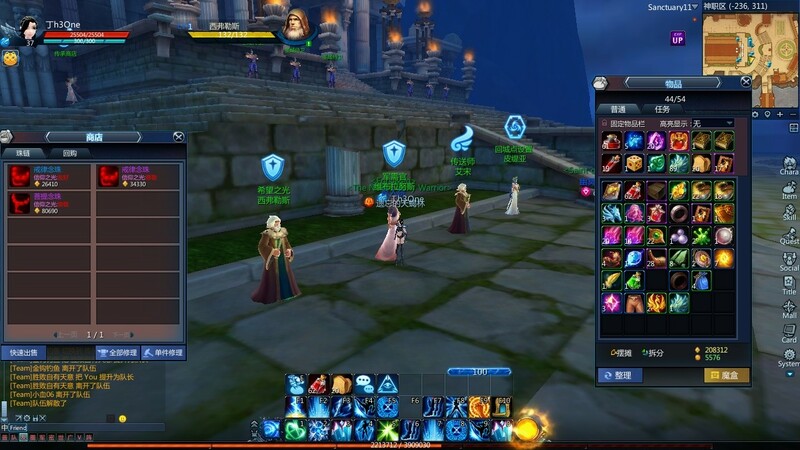 You need lvl 10 in the blue crafting category. Then you need a purple scroll (purple meaning rare) which you can find in AH. Then you can craft for it. 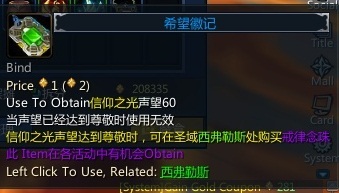 At lvl80 you can exchange your legendary necklaces for another necklace which you can upgrade with blood but you can also do it with the purple one. The power differencia is important (like 700+) but IMO its way too hard (lvl 10 in crafting is waaaaaaaay too much money). Haha, yeah that sounds like a tough challenge! I think I'm only level 6 now. Anyway, thanks a lot for your explanation!! anyone can tell me how to get orange neclace on lvl 30 ? i already got purple and mine points are 1/10000, ive also got quest for it but dunno what to do. I can't find special necklace.